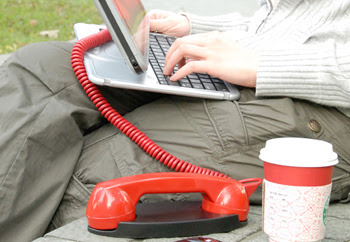 YUBZ TALK ONLINE is a classic retro VoIP phone with USB support. It works with all computers. Just plug it into any USB port of any computer.YUBZ TALKING ONLINE comes with a "Push-Volume" button for adjusting hearing volume and an on/off blinking signal light. It's compatible with PC and MAC. YUBZ TALK ONLINE works with any messenger client with VoIP support.